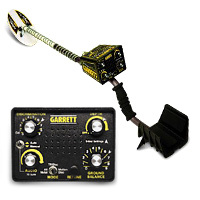 I bought this detector as my first machine. It was hard to use and frustrated me off the start but read a lot of reviews that stated this was a great machine. As I used it more and more I started to understand how the modes work and how to tune it properly. Now I love using it and don't have any desire to get a different detector. I live in fur trade country and it has brought me a lot of great finds. It is just like anything else, practice makes perfect. Not every fish can climb a tree! I you can use your brain get this machine, if you need someone to wipe your but get something else.